This week, Your News to Know rounds up the latest top stories involving gold and the overall economy. Stories include: Gold breaks above $1,300 on its way to best year since 2010, gold prices to rally to $1,445 in 2018, and why hedge funds and foreign governments are stockpiling gold. After reaching $1,302 an ounce on Friday, gold is on track to its best year since 2010. According to Reuters, the metal’s strongest driver was the ongoing weakness in the dollar, which, after falling to a three-month low, ended the year on its worst note since 2003. The dollar was subdued in 2017 by political drama in the U.S. such as tensions with North Korea, as well as persistent low inflation. Although the Federal Reserve hiked rates three times this year, the dollar remained weak, said ABN Amro analyst Georgette Boele. This, along with concerns over low inflation, allowed gold to prosper while limiting projections for further rate hikes. Boele also pointed to weak trade and lackluster yields as other tailwinds for gold in 2017. According to ScotiaMocatta’s technical team, momentum indicators suggest that gold is ready to recapture the October high of $1,306 an ounce. The analysts said that the metal’s technical picture is positive after it broke above its 100-day moving average this week. Other metals also enjoyed sizable appreciation in 2017, with palladium having its best year since 2001 amid concerns over supply. Likewise, silver and platinum showed strength throughout the year, having risen 6.5% and 3.8%, respectively. According to ETF Securities, gold could enjoy even more prominence in 2018 due to its utility as a risk management tool and as a store of value. As seen on Kitco, Maxwell Gold, the firm’s director of investment strategy, said that gold could climb to $1,445 an ounce next year as long-term investors begin to fully understand the multitude of risks in the markets. “Against the current backdrop of stretched valuations, rising uncertainty, asset correlations, and record low volatility globally, gold demand as a risk overlay may continue to rise into 2018,” he said. The firm also offered a more tempered prediction for the metal should the Federal Reserve hike rates three times in the new year. In this scenario, which also includes a stronger dollar and higher inflation, gold would stay within the $1,250-$1,300 range throughout the year. Rate hikes in 2018, however, will heavily depend on economic data, as the Fed will be even more analysis-driven, said the report. Gold also said that the central bank could find itself unable to deal with inflation’s rapid pace, as built-up pressure could lead to inflation reaching 2.6% by year’s end. ETF Securities is also bullish on other precious metals, expecting silver to have a particularly strong year with an early rise to $19 an ounce. This will be fueled by dwindling expenditure by miners, said Gold, which will combine with an increase in global industrial demand. According to Gold, platinum should also post gains in the year, driven by both Chinese manufacturing demand amid new emission regulations and an improving South African economy. As seen on Seeking Alpha, investors are moving in a different direction from hedge funds and foreign governments. As the former group doubles down on the overbought stock market, the latter are amassing an ever-increasing amount of gold. 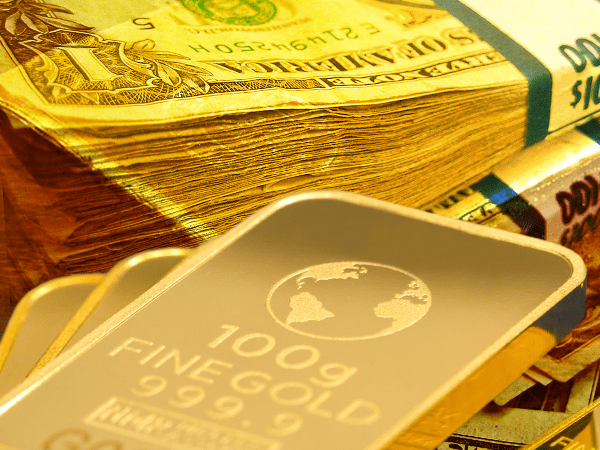 Funds such as Stifel Financial Corp. and Chevy Chase Trust Holdings Inc., as well as a number of large investors, recently boosted their gold holdings by a significant margin. Not to mention the purchasing of bullion by governments around the world has been going on for much longer: Russia’s 1801 tons of gold account for 17.3% of all reserves and place it as the sixth largest gold owner in the world. China’s government is also known for its tendency towards bullion, with Germany, Italy and France all having sizable reserves as well. These purchases are happening in stark contrast to individual American investors, who are seemingly unaware that the stock market is up more than 300% since 2009, suggesting that funds and central banks might be aware of something that the average investor is not. Seeking Alpha’s piece wonders whether the fear of missing out is too prevalent among investors, to a point where many are forgoing a proper diversification policy. The sentiment that a correction in equities is unavoidable continues to grow – the question that remains is how many will be late to the party when the stock bubble bursts and the money starts flowing into gold.